Are you about to visit Hong Kong? Are you interested in how the locals live as well, or do you prefer just the glittering signs and touristy attractions? If the latter is your case, stop reading right now. 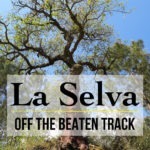 For the adventurers among you who like to get to know a place better than on the outside only, I have good news – it doesn’t even have to take long! Getting real in Hong Kong is about looking for points of interest where the locals go, be it original Hong Kongese or domesticated expats. Let’s start with some fresh food. One of the best and oldest fresh markets is in Central. Yes, you heard right – Central. At this booming quarter of the city, where skyscrapers of Bank of China, HSBC and others don’t let you hesitate even for a minute that you’re in one of the most important financial capitals of the world. Get behind the sky-touching towers and head towards the Central Mid-Levels Escalator. One of the tiny streets that winds around is the Graham Street. Once you spot the first old school stall, you’ll know you found the place. Some stalls shabby-looking, some painted bright green, they all feature lots of goodies and lifelong vendors. From colorful fruits and vegetables to still-breathing cut fish, there are real eye candies. Last time I visited Hong Kong (November 2013), the Graham street market’s destiny didn’t look very bright. The area was supposed to be redeveloped and turned into a modern market, which means getting rid of the market in its present form. Pleads to save the market from being torn down span across several local magazines. It’s still there, though, so if you have plans to visit Hong Kong, don’t leave it out as it might be one of the last opportunities to experience this special place. As of the beginning of 2016, the market’s still there but the doomsday is approaching even faster. Check Grahamstreetmarket Facebook Group for the most up-to-date information. I’m sure seeing all those fresh veggies and meats made you feel quite hungry! All right, let’s get you some nice local meal. 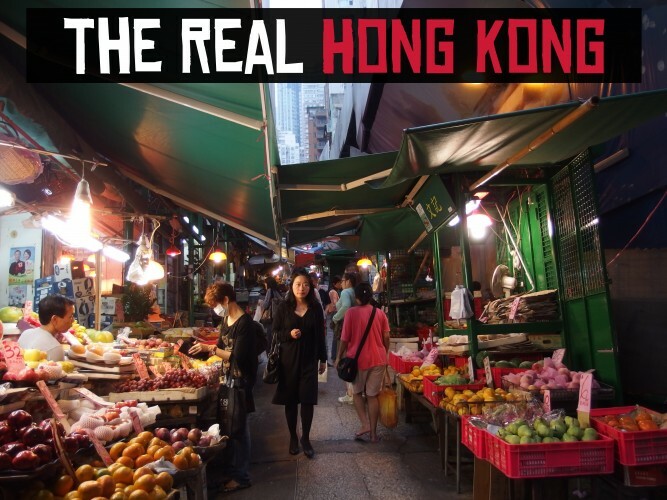 We’ll explore a popular place to go for locals in the Wan Chai area. It’s not a classic restaurant, it’s a food centre! You’ll find it Causeway Bay on 21 Bowrington Road. Just take the lift (or walk) to the second floor and a big area with various restaurants and many tables will open up ahead of you. Don’t get scared away by all the locals and the buzz inside, it’s proper! This is one of the places where no matter which exact restaurant you pick, you’ll eat awesome Cantonese cuisine, totally real and not adjusted to Western tastes. If you don’t need such food every day, just give it a shot once at Bowrington Cooked Food Centre. Flush the authentic food with some local beer and you’ll walk away happy as a hippo. For full description, exact transport instructions and eye-catching photos, head to StrippedPixel blog. 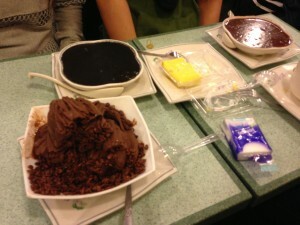 In case you didn’t get full enough at Bowrington, we can get you to experience real Hong Kong desserts! And you don’t even have to get out of Causeway Bay. I hope you’re not craving for chocolate, as desserts in that part of the world are rather different. Chung Kee Dessert on 15 Canal Road West is a nice crammed place that’s always full of locals. If there’s a free table, squeeze in! If not, just wait a little, it’s worth it. Their menus have photos and include English names so just pick any wild-sounding dessert like puddings and ice-cream flavored with sesame paste or red bean paste. It’s not always as sweet as you’d expect, e.g. my papaya soup dessert tasted similar to a papaya soup I had tried in China. Just get your taste buds curious and explore! Just one long afternoon in Hong Kong spent at these three awesome spots will get you closer to the local food culture and you’ll be able to get a better feel of how it’s like to live in Hong Kong as if it were your home. Of course, you’ll have to spend a couple of days in Hong Kong to experience the real deal that’s Hong Kong cuisine. 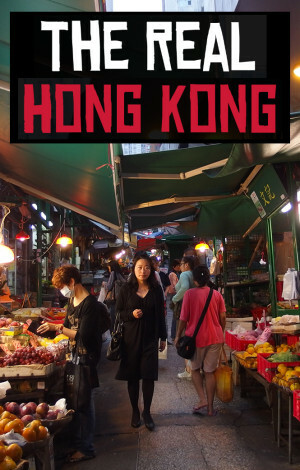 If you need to get some advice on the best places to stay in Hong Kong, here’s a great guide. 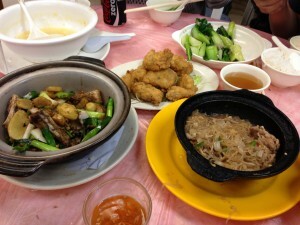 Do you have a favorite local restaurant in Hong Kong? Let us know in the comments! How to Fight Insects (Cockroaches) While TravellingIs Bruges Really Worth Visiting? Very interesting…i went to hong kong for 15 days to meet my friends and had a blast with eating out..despite me being a vegetarian…hong kong has amazing options for all kinds of food enthusiasts! !